By cupcakeSerenity on September 25th, 2011 . Filed under: Cupcake Ideas, Photos . 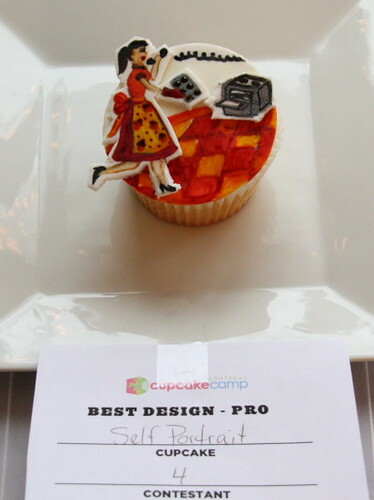 I just found this award-winning cupcake at Flickr, and though it is titled “Self-Portrait,” it looks alot like someone else I know! This cupcake was created by Tania of Crazy Cupcakes and the photo was taken by EpicureanPiranha. Hi! Thanks so much for posting one of my photos on your blog, along with a link back to me. Very much appreciated!